Should your business be on it? YouTube has more than 1.5 billion monthly active users—making it the second-largest audience in the world, just behind Facebook. It’s a powerful channel that businesses should include in their social media portfolio, especially to reach younger demographics. In the U.S., over 90 percent of teens and more than 80 percent of millennials spend an average of 40 minutes a day on the platform watching videos. In addition to audience reach, being owned by Google doesn’t hurt search results. It will be harder for businesses making money off a YouTube channel, but there are many other reasons for organizations, including small businesses, to create videos on the platform. According to a 2018 marketing survey published on Hubspot, video production’s high return on investment is spurring tremendous growth, with 81 percent of businesses using video as a marketing tool―up from 63 percent in the previous years’ survey. 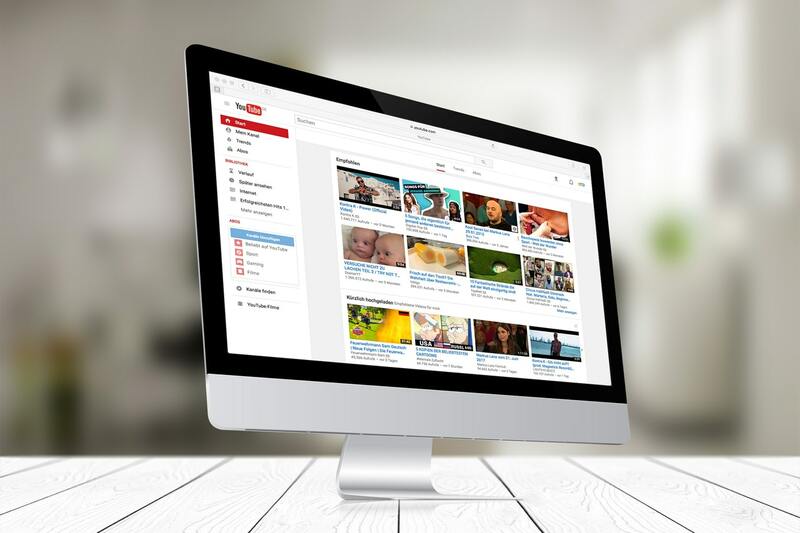 Here are the three most compelling reasons your business should create YouTube videos. When you show people interacting with your product or having success with your services, it portrays your business in a positive light. Every size business can use testimonials to build brand trust and credibility. With increased quality and relatively low prices of video equipment, videos can even be done “in house.” Briefing your customer ahead of time on key points you’d like them to talk about, using a good microphone and learning a bit about lighting and camera angles will create a more professional video. Informational videos will establish you or your business as an authority in your industry. The more tips and information you post, the higher you will rank as an authority in your chosen topic. Provide enough information so that potential customers will watch more of your videos or contact you to help them. For example, a real estate agent might create a video about home staging when putting a house up for sale, encouraging the viewer to contact them for more tips and a list of resources, such as closet organizers, high end rental furniture or affordable artwork used in the video. Embedding the video across multiple channels will raise interest and convert to sales. As the second-largest search engine after Google, YouTube provides a huge opportunity to connect with people interested in your business. Videos can be tagged with keywords to draw in target demographics. Interactors can leave their feedback and questions in the comments section below the video and start a conversation with the company. Like other social media platforms, it is important to keep up with comments on YouTube to show the community you are engaged, which will build confidence about your brand. Uncertain about producing your own video? Arvig Media can help. Arvig Media can help businesses develop videos using many different style elements, including pan and zoom static photo videos, 3-D virtual tours, HD aerial drone videos, commercials with story boards, animated explainer videos and traditionally filmed videos. YouTube recently launched YouTube Director Onsite. A screened and qualified video producer will work with you to create a script, come to your business and shoot video and edit it into a finished commercial. The production is free when you commit to purchasing $350 in advertising space on YouTube. Finally, YouTube has excellent tools to take your large video files and compress them for optimal viewing on the internet. Not only can you use your optimized video on your YouTube channel, you can share videos on your own website and blog, Facebook, Google+, your digital newsletter, Tumblr, Twitter and many other sites. Video is on track to make up 82 percent of consumer web traffic by 2020, which makes it a powerful advertising element. You can capture this growing digital audience with YouTube ads. This is another area where Arvig Media can help. Ads are an effective way to bring traffic to your website, showcase your brand and put your products and services in front of mobile users. Yes, your business should be on YouTube, harnessing the world’s second-largest search engine to build brand exposure and awareness.